Hi, My name is Mango! 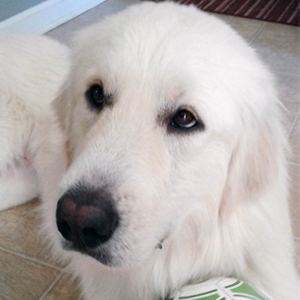 I am a smaller pyr gal who is very sweet but can also be shy. 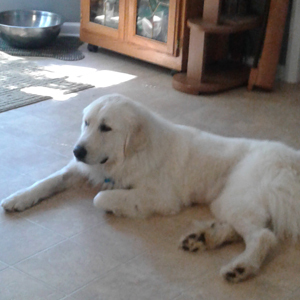 Currently, I am only at 70 lbs, and around 3 yrs. old. 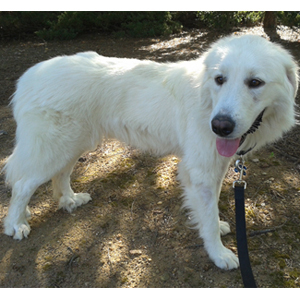 I spent some time on my own and was not able to care for myself properly so I need some help and TLC to get back to a good weight and regular brushes to maintain my beautiful white coat. I have spent some time in a home where I was showered with lots of love. Unfortunately, I was not getting along with a fur sibling and it was too much for the family. I have been taught house manners and I am learning to come out of my shell. I really hope that I can find the right family that will coach me on life lessons. I might be small in statue but I am big in personality and have a lot of love to give. 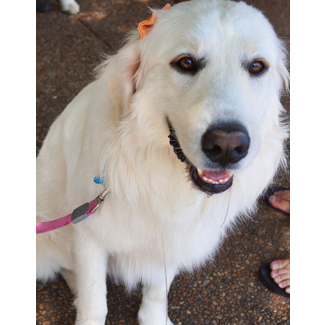 I am a rare gem and really believe that I can be that perfect fit for your family. 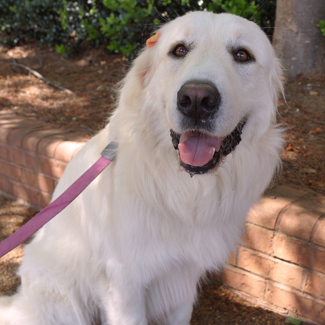 Please contact GPRA today at info@greatpyratlanta.com to find out how to meet me.